Your child is finally at that age where you’re considering Pre-K and you want answers. Well we have a whole list of pre-k guidelines just for you. We’ve put together an extensive guide so that you can quickly find all the answers that you need about Pre-K complete with an FAQ and a Table of Contents. Here are some of the most asked questions about Pre-K programs. Click the link to find your answer. What are the differences between daycare, pre-kindergraten, and preschool? Is it better to start a child in Pre-K sooner or later? How many hours per day do children stay in school? If 4 hours is it the first or second half of the day? Do they have to have any specific shots first? What learning program do they use? What certification do your teachers have? Are there any specialized classes like… sign language, Spanish, karate, cooking, or dance? 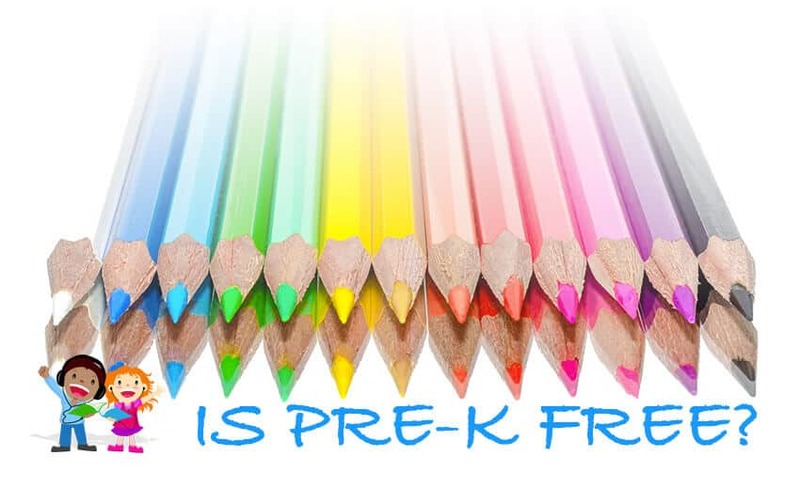 Pre-K (better known as pre-kindergarten) is a classroom-based preschool program to prepare children for school. 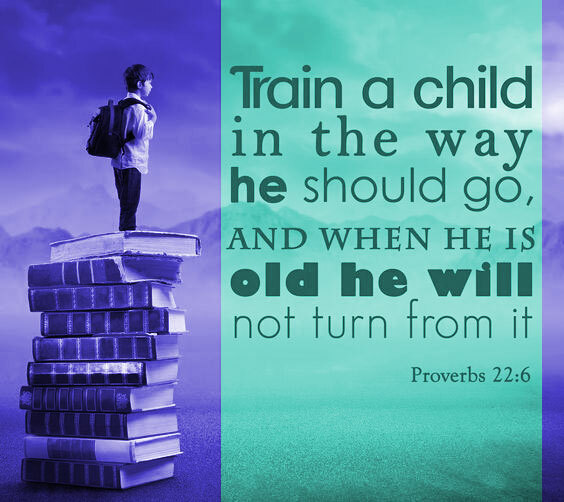 The purpose of sending your child to a Pre-K program is to prepare him or her for learning early. It is one of the major steps that will get your child in the habit of being in a classroom environment. Children are curious about their world and will react to tactile stimuli. As Pre-K children learn how to adjust, the teachers will be supervising them closely during each learning phase. Pre-K training is the starting point to engage your child into habits of life-long learning. These classes are also about enhancing children’s ability to communicate. Since children will often communicate in whatever way they can, the classroom teachers are trained to understand what exactly the children are trying to convey. 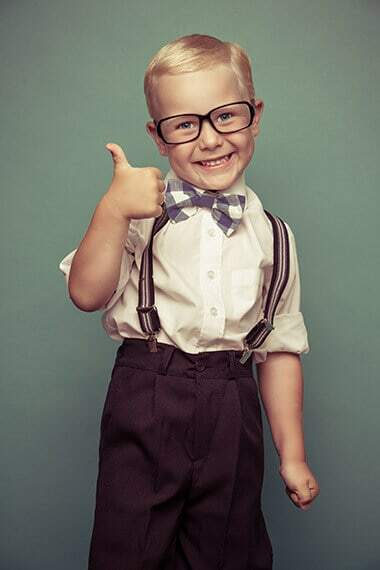 Students will learn the best ways of communicating with other people and how to express themselves in a civilized manner. When they get to Kindergarten and higher grades, the transition will be easier and the foundation for positive communication and learning will have been built. Most children get their first experience of a structured setting while attending Pre-Kindergarten classes. They learn the importance of following instructions, sharing, and respecting those around them. This is the structure for regular schooling. Things have changed a lot in our educational system. It used to be that children were just preparing for academics in Kindergarten. Then they would start to read and do arithmetic in 1st grade. Kids are learning phonetics, basic reading, and math skills in Kindergarten. So today more than ever your child needs a Pre-K program to get him or her ready for Kindergarten, especially if there is a possibility that your child could struggle to keep up. Going to Pre-K classes opens your child socially. A child needs to be in a secure, caring atmosphere in order to learn. They will be learning how to build relationships with other authority figures besides their parents. Children learn how to relate to their peers and find good structure in a nurturing environment. They began to see the correct way of dealing with conflict and different ideas. They can also practice ways of getting over on adults. So be prepared parents. Be prepared. From the ages of 3-5, children nearly triple their vocabulary. This is the perfect age to foster cognitive skills and language development. Pre-K teachers ask the right kind of questions that help children think and solve simple problems. They learn new vocabulary words and explore the world of academics and art. There is plenty of structured play that will give your child ample time to both explore and socialize. Such experiences benefit children greatly when they enter Kindergarten. Even though most people think that Pre-K classes and preschool are the same, there are a few differences. In a pre-K program, your child will be in a learning atmosphere that is more structured. It specializes in certain age groups and environments. Children in preschool usually have unstructured play-oriented time. Pre-K classes are often attached to a particular school system and are geared toward preparing your child for Kindergarten and later elementary classes. Preschools are not usually associated with a school system and are a separate entity. 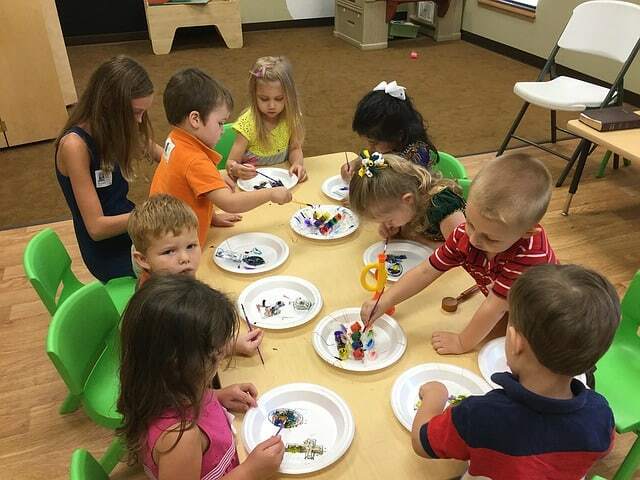 Preschool classes are often integrated with daycare and do not have as much structure. When your child is in Pre-K, he or she will participate in structured activities and lessons that improve learning and motor skills. The teachers may use flash cards to teach simple math skills, phonics, and even sight words. Depending on your residing state, some preschool teachers do not even have to have formal teaching credentials to teach. Pre-K teachers have degrees and are certified through their respective states. There are some preschools that will accept children as young as two years old; however, they usually serve children from 3-4 years of age. Sometimes, a gifted child may be enrolled in a Pre-K program at 3 years old. Typically, children are usually 4 years of age when they attend this program. Both programs usually have flexible schedules and offer half-day or full-day classes. There are usually cost differences between the two programs. A lot of times, people who have their children in daycare get special discounts if their children attend the organization’s preschool classes. Head start, which is a government-funded preschool, is free for low-income families. Some school districts may enroll children into their Pre-K classes for free; however, there may be some programs that charge tuition. In recent years, however, many preschools have adapted to the demands of pre-k programs and the two are often interchangeable. Research is key to finding if a program meets your needs. Here’s a quick view of the two compared. There are pros & cons to everything. We’ve talked about the benefits of a Pre-K program; now let’s talk about the possible disadvantages. If a Pre-K program does not have experienced and knowledgeable teachers or a quality learning program, such inadequacies may give your child a negative view towards school and lead to possible boredom & behavior issues. If your child is in a program where the teachers are not watching the students closely, your child may be involved in negative behaviors such as bullying and fighting. This is why it is so important to learn as much about any Pre-K program you are considering. Some critics may point out that children mature at different rates and some may not be ready to attend Pre-K classes. These children may need some individualized work at home before they go into a classroom. Another problem is that some Pre-K programs admit advanced 3 year-olds. The pretext is that he or she would be ready for Kindergarten at a younger age. Problems can arise when the child reaches his learning peak for his emotional maturity level and stops advancing with the other children. This can lead to frustration and future problems in elementary classes. Because Pre-K programs are not usually linked with a daycare center like a preschool, you may have problems with childcare. If you work all day and your child only attends a partial day at Pre-K, you would have to either get a baby sitter to pick him or her up or have a separate daycare provider. For some people, this added expense would be a financial burden. Although some Pre-K programs offer bussing, others expect parents to provide the transportation. This may be difficult if you and your spouse have hectic work schedules. Certain criteria has to be met before your child can be enrolled in a pre-k program. Each school may be slightly different, but here is what’s most common amongst Pre-K programs. Qualify as currently being a foster child. Since we’re on the subject of requirements, I would like to take this time to make you aware of Universal Pre-K.
Universal Pre-K is a worldwide movement that would make Pre-K available to every child regardless of income guidelines, scholastic abilities, or location. Unfortunately, this is not yet a reality and there is much debate about its need and importance. So for now, the above requirements apply. Each state has its own income guidelines for Pre-K programs. In some states, they are only open to people who receive a low income. There are some states who offer classes free, since they are affiliated with a particular public school system. These are public Pre-K programs; however, tuition is usually charged for private programs. According to various reports, these programs can cost you anywhere from $3K to $18K or more for a ten-month program. It just depends on where the school is and if it has a top-notch reputation and who its clientele are. You should also be aware that there will probably be additional costs for lunches, snacks, field trips, and school supplies—even in public Pre-K programs. If you decide on a private Pre-K program, many of them offer tuition assistance. You may be eligible for a discount if you are within a certain income bracket. You can also apply for special grants from the state that will help with tuition. FreePreSchools.org is an awesome resource that has loads of information on free or low cost Pre-K and preschool programs. What’s awesome about it is that you can click on your and see a list of eligible programs. To understand more about how the funding works, check out EdCentral’s article about Pre-K funding sources. Let’s take a look at a day in the life of your child attending Pre-K. Depending on which Pre-K program you choose, your child will be attending class either half a day or a whole day. Half days are typically 8am-11am (3 hours) or 12pm-3pm (3 hours), but some morning half days can extend to include lunch. Full days are usually from 8am-3pm (7 hours). Some programs only operate three or four days a week while others have classes Monday through Friday. These variations are helpful for working parents’ schedules. You must also consider your child’s maturity level and how long he or she can be in a more structured environment. Although programs will vary, there is a typical design that most Pre-K programs follow. In the mornings, you child will usually start out with activities that will calm them and prepare them for the day. Such activities may include singing or using puzzles to open their minds. The teachers will tell the class what they will be doing that day. Throughout each day, there will be structured time for academics. Children will have certain times for learning basic skills in reading, language arts, science, and mathematics. Teachers will read aloud to the class and will ask questions that require thinking. Of course, all of the material will be introduced on their level. The class will be practicing essential fine motor skills, such as buttoning and tying shoes. They will also be enriched with art and music. Children thrive when they are allowed to be creative. There will also be times for lunch and a snack. During this free time, your child will be encouraged to interact with other students and improve their social skills. A period of unstructured playtime is usually part of the day. Almost all programs offered at least one specialized class. Specialize classes are subjects like sign language, Spanish, karate, cooking, or dance. However, the subject selections vary from school to school. Pre-K programs enhance the learning experience with special presentations and field trips. Your child will probably have the opportunity to visit educational places such as museums, libraries, and historical places. They will learn about the big world around them and how they are part of the whole system. From time to time, the teachers may invite special guests to talk to the class about interesting subjects. An example may be a zookeeper giving a presentation about caring for the animals at the zoo. Local business people may visit to discuss with the class the interesting things that they do. Many times, parents are encouraged to come on the field trips with their children for a special time of bonding and learning together. Teachers in Pre-K programs are responsible for nurturing their students and for developing their curiosity in various subjects. They encourage children to socialize with their peers and they provide a creative learning environment. Pre-K teachers need the skills of interactive teaching methods and must be competent in teach foundations such as phonics and numbers. They will lead activities that will help children with basic skills such as recognition of colors and shapes. According to the National Association for the Education of Young children, Pre-K programs should have a teacher/student ratio of 1:10. For educational requirements, most states require that Pre-K teachers have at least a Associates Degree in Early Childhood Development or a related field (a Bachelor’s Degree is preferred). They also need to have credentials from the state for Early Childhood Development. Most schools also require that the teachers have experience as a student teacher, so they will be familiar with the academic and social structure of the Pre-K classroom. Most of all, it is required that these teachers love children and have a passion for teaching. Search the pre-k schools in your area. Print out this checklist that currently contains 50+ useful questions you’ll need now for selecting the best school. Grab a copy of the kindergarten readiness checklist Angela over at Teaching Mama put together. It contains all the possible skills your child needs to get ready for Kindergarten. If you are searching out the best option for your child’s Pre-K program, there are a lot of good websites available. You can go to the website of your state’s Department of Education and research the public programs that are available. Government agencies such as Job and Family Services and Community Action are other viable sources for finding quality Pre-K programs. If you are leaning toward private education, you can visit the school’s website and read about how it operates. Most importantly, visit different schools to get a feel for the right placement for your child. Talk to the administrator and teachers and see what their teaching philosophies are. You can also ask for references and talk to other parents whose children attend a particular Pre-K class. This is a crucial step for your child and is an important decision. Even though the government has certain guidelines for Pre-K programs, they all have differences. As a parent, trust your instincts when you visit potential schools and staff members. If you feel like something is not right, then you should look elsewhere. When you visit one of these classes, you should see bright, clean rooms that are staffed appropriately and have happy children who are eager to learn. When you find the right Pre-K program, you can enjoy watching your child learn and thrive. 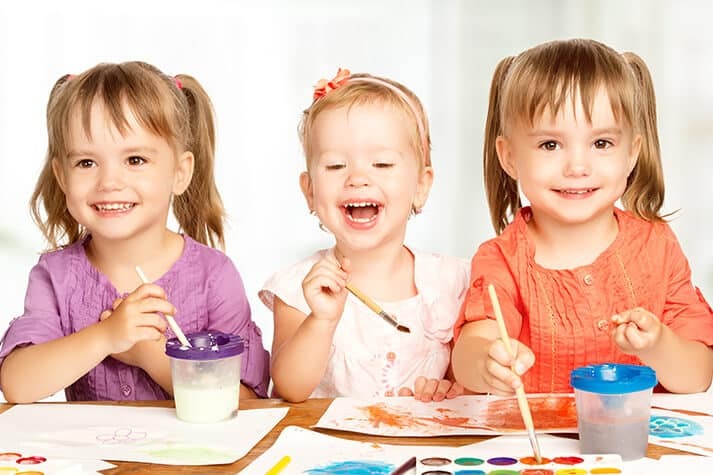 There are a number of programs that are used by Pre-Kindergarten facilities. The programs and concepts vary from state to state and from school to school. Once you’ve narrowed your search on schools to enroll your child in, reviewing the learning program of each is a must. This is where the specialty subjects would be included such as sign language, performance arts, martial arts, foreign languages, cooking, and more. With busy lives it’s very easy to just find the nearest Pre-K location and stick your kid in it, but please don’t skip doing your research. This is an important decision because it’s your child’s first time being exposed to classroom environment with peers and with authority figures other than yourself. If you would like your child to learn abcs and 123s right now with ease, try out these songs made especially for preschool kids that have been used by thousands of families and early childcare providers. If you have any additional resources to share for the thousands of parents out there searching diligently for the best early advantage for their child, please share them in the comments. Don’t for get to share.